Whenever we are using Angular JS, we need to define the document as an Angular app and it can be done by adding a ng-app attribute in the HTML tag i.e. Please refer to this sample for complete implementation. 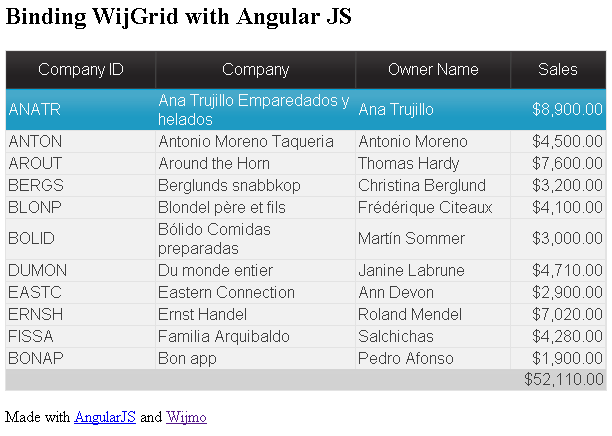 To read more on using Wijmo with AngularJS, you may refer to this blog.